(Bloomberg) -- For Tesla Inc. investors, the last year was all about whether the company could make enough cars at a stable rate. This year is going to be all about who would buy those cars. 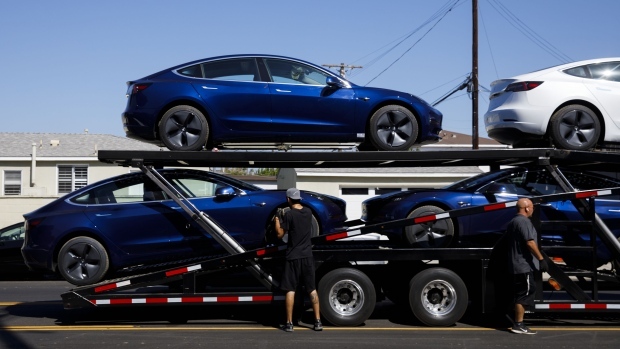 The electric vehicle maker had kicked off this year on a dull note after fourth-quarter deliveries slightly lagged expectations, followed by multiple price cuts for the Model 3 sedan in order to compensate for the gradual elimination of federal tax incentive. The quarterly profit, reported in late January, also missed estimates and failed to inspire investor confidence. Tesla stock had fallen more than 8 percent this year through Friday, before Monday’s gains. The S&P 500 Index gained 8 percent over the same period. Tesla has always proven to a far-from-stable story. While the stock gained as much as 4.2 percent on Monday, investors should brace for a choppy ride this year.